By default, AtoM creates the accession record identifier as a unique number compiled from YEAR-MONTH-DAY-Incremental#, expressed as %Y-%m-%d/#i. This mask, or default counter, can be changed by administrators to suit institutional needs. AtoM provides you with the number of accessions created. 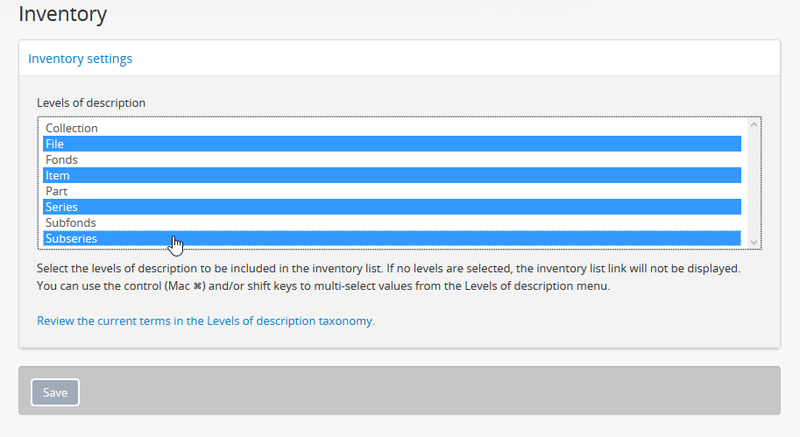 If you delete an accession, it will still be included in the Accession counter total value. If this number is changed by an administrator, the next accession created will receive the next number in sequence. The reference code separator is the character separating hierarchal elements in a reference code (see Inherit reference code, below). The default reference code separator appears as a dash “-” in AtoM, which can be changed by an administrator to suit institutional practices. Follow the link above and download the script. 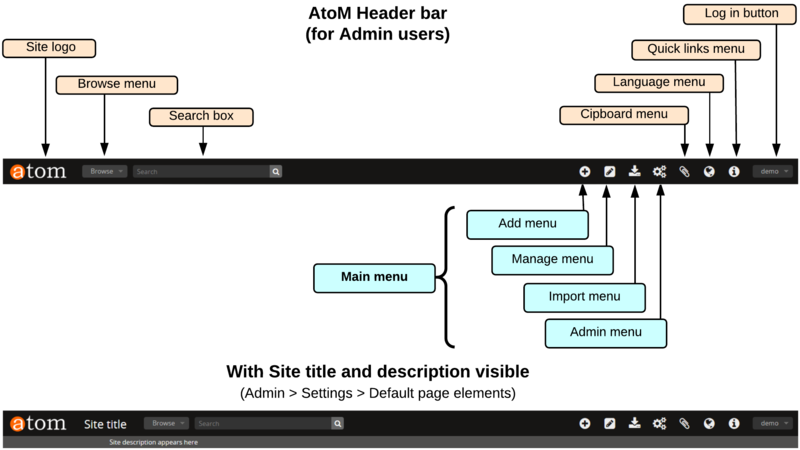 Place it somewhere accessible from the root directory of your AtoM installation. The script will replace any periods used with the default - dash separator in the database, which should resolve page load errors. 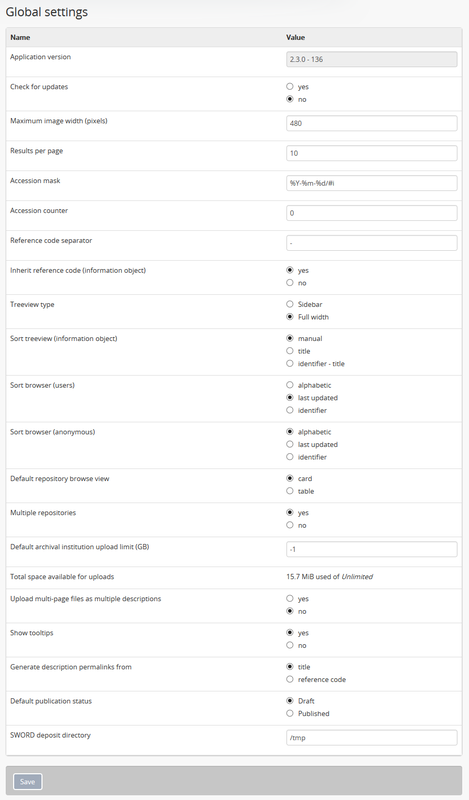 Whether reference code inheritance is turned on or not, the sort button option on the archival description browse page will still sort by full inherited reference code, and not by identifier alone. This setting only affects the display. 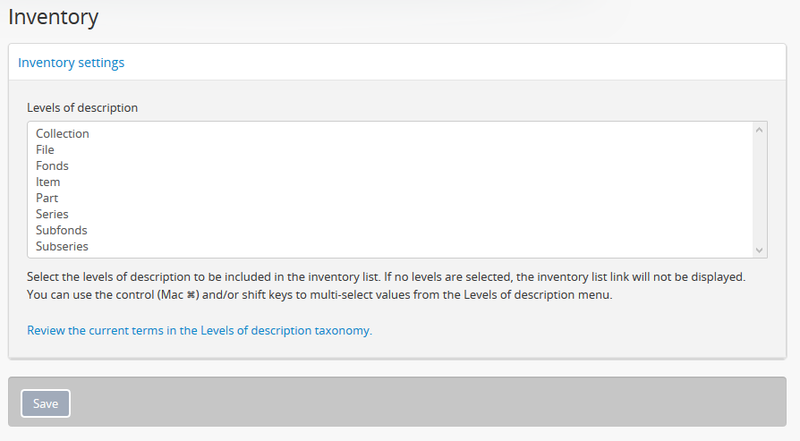 For more information on sorting, see: Sort button. The results in the sidebar treeview are truncated - the first 5-6 nodes in the hierarchy are displayed by default, after which an approximate count of remaining nodes in the current level is provided, with the option to expand the results to display more. All nodes are shown in the full width treeview. For more information, see Treeview quick search. Administrators can configure default sort order for the browse display as either “alphabetic”, “last updated,” or “identifier” for logged-in users. 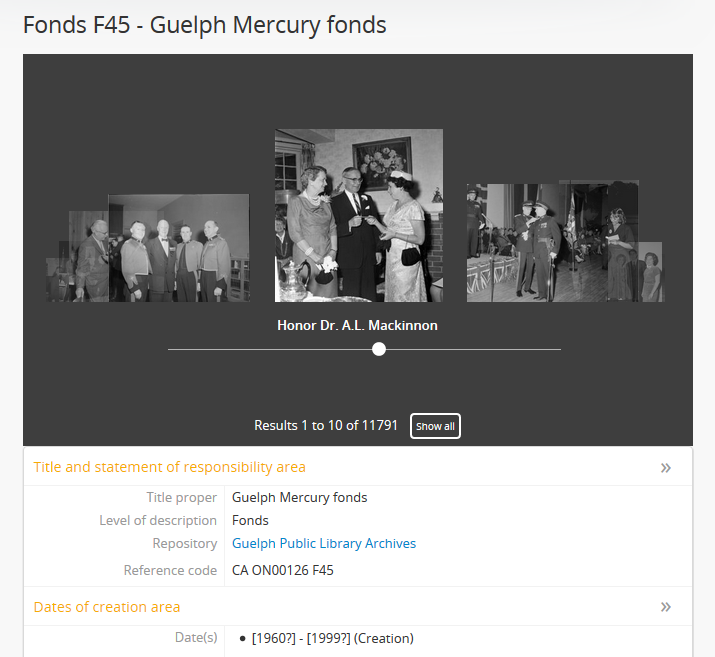 “Last updated” will display records most recently added or edited at the top of the results, allowing users to explore what has changed. By default, the sort order is set to “Last updated” for authenticated users. 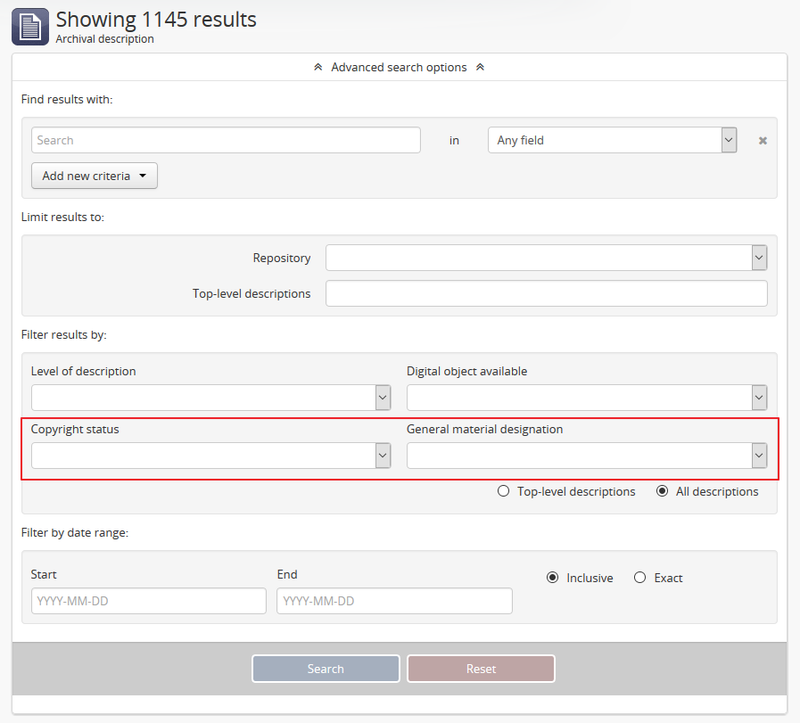 However, users have the option to reorder the page while browsing via the sort button located at the top of most browse pages. Administrators can configure default sort order for the browse display as either “alphabetic,” “last updated,” or “identifier” for public users (e.g., not logged-in). 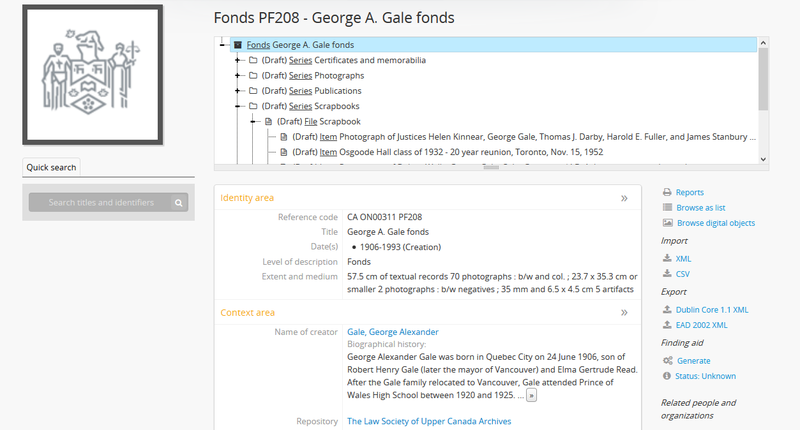 “Last updated” will display records most recently added or edited at the top of the results, allowing users to explore what has changed. By default, the sort order is set to “Alphabetic” for anonymous (i.e. public) users. 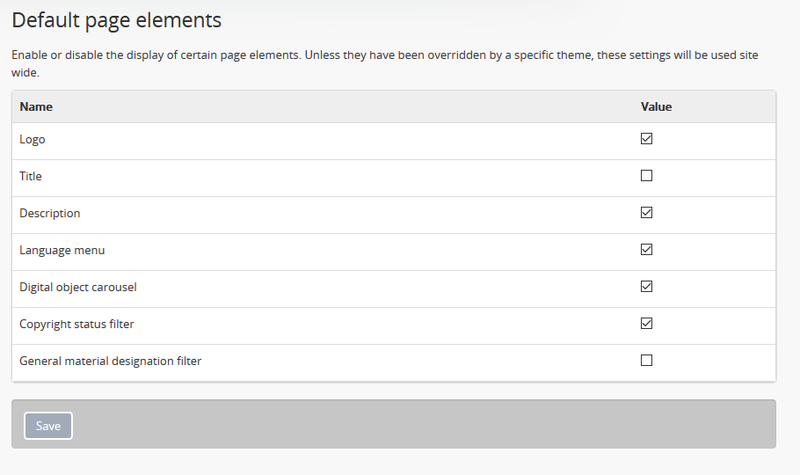 However, users have the option to reorder the page while browsing via the sort button located at the top of most browse pages. For more information, see Upload digital objects. 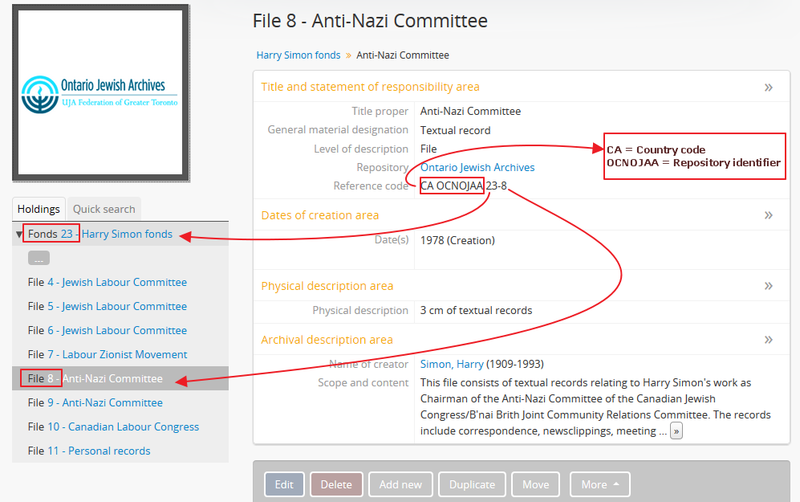 This setting allows an administrator to determine if the slug (or permalink) generated from an archival description when it is saved is derived from the title, or from the reference code of the description (for more information on how reference codes are constructed in AtoM, see above: Inherit reference code (information object)). By default, AtoM will derive the slug from the title of a description - the title will be sanitized by removing capitalization, spaces, and special characters; it will also be truncated if it exceeds a certain length. 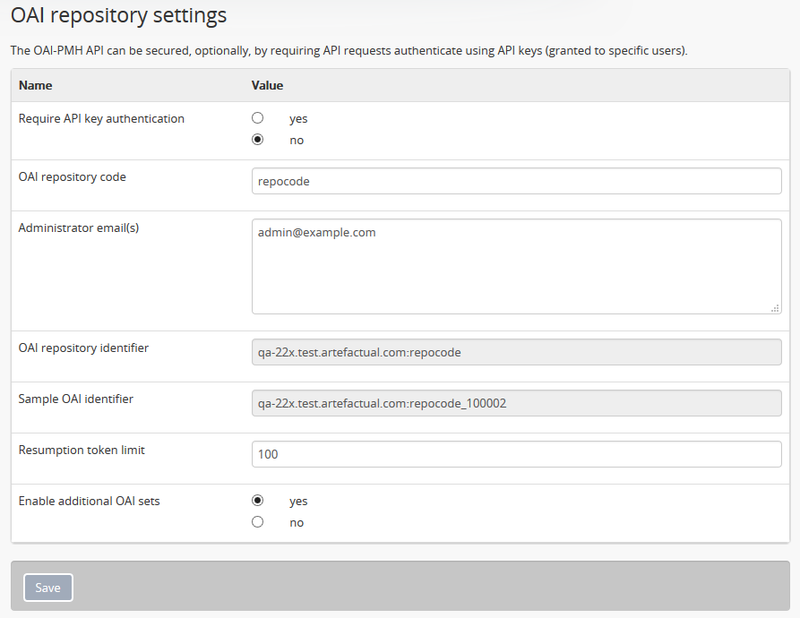 Administrators can now choose, via this setting, if they prefer that the slug is derived from the reference code instead. AtoM is flexible enough to support descriptions a variety of cultural materials such as archival, library, museum, and art gallery collections. The code, therefore, uses generic terms for entities. 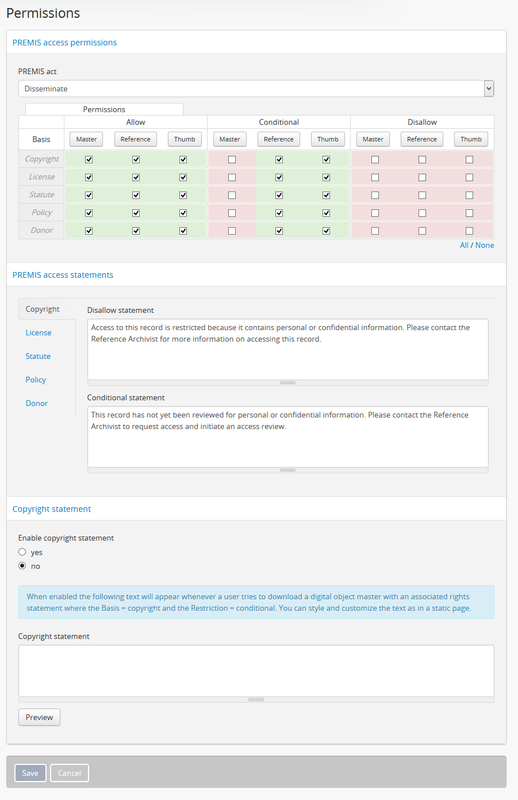 Administrators can specify how they want these terms to appear in the user interface labels to suit the institution’s collections. 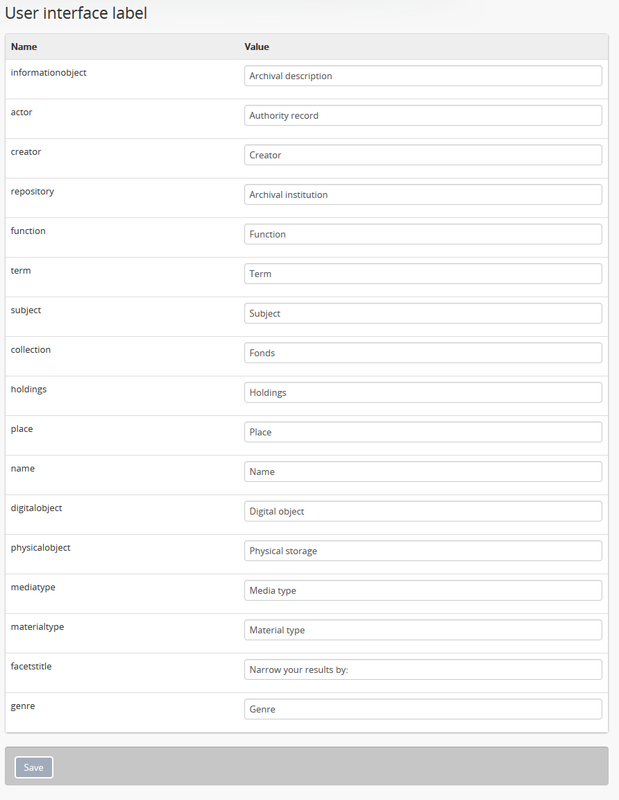 The default labels that ship with AtoM are terms typically used by archival institutions.